This is a scalable context timeline. It contains events related to the event August 16, 2001: Zacarias Moussaoui Arrested. You can narrow or broaden the context of this timeline by adjusting the zoom level. The lower the scale, the more relevant the items on average will be, while the higher the scale, the less relevant the items, on average, will be. The FBI misses a chance to learn about Zacarias Moussaoui after a raid in Dublin, Ireland. On December 14, 1999, Ahmed Ressam was arrested trying to smuggle explosives into the US (see December 14, 1999). On December 21, Irish police arrest Hamid Aich and several other North African immigrants living in Dublin. [New York Times, 1/22/2000] During the arrests, police seize a large amount of documents relating to citizenship applications, identities, credit cards, and airplane tickets. A diagram of an electrical switch that could be used for a bomb is found that is identical to a diagram found in Ressam’s apartment in Vancouver, Canada. [Irish Times, 7/31/2002] The suspects are released about a day later, but, “Within days, authorities in Ireland and the United States began to realize that they might have missed a chance to learn more about a terrorist network.” [New York Times, 1/22/2000] It is discovered that Aich lived with Ressam in Montreal, and then later lived with him in Vancouver. Investigators conclude there has been an al-Qaeda cell in Dublin since the early 1990s, when the charity Mercy International opened an office there (this charity has several known al-Qaeda connections by this time (see 1988-Spring 1995 and Late 1996-August 20, 1998) and also an alleged CIA connection (see 1989 and After)). The cell is mainly involved in providing travel and identity documents for other cells committing violent acts. Investigators also connect Aich to the Islamic Jihad. But the US and Canada do not seek Aich’s extradition, and instead have the Irish police keep him under surveillance. He will escape from Ireland shortly before 9/11 (see June 3, 2001-July 24, 2001). [New York Times, 1/22/2000; Irish Times, 7/31/2002] Apparently, many of the documents seized in the raid will only be closely examined after 9/11. Documents will show that in 1999 and 2000, Mustafa Ahmed al-Hawsawi, a top al-Qaeda financier, worked with the Dublin cell to finance Moussaoui’s international travel. Aich made travel arrangements and possibly provided fake identification for Moussaoui. [Fox News, 7/30/2002; Irish Times, 7/31/2002] Presumably, had these links been discovered after the 1999 raid instead of after 9/11, events could have gone very differently when Moussaoui was arrested in the US in August 2001 (see August 16, 2001). Purchase flight deck videos from the same shop (see November 5, 2000-June 20, 2001). On July 5, 2001, counterterrorism “tsar” Richard Clarke gave a dramatic briefing to representatives from several domestic agencies on the urgent al-Qaeda threat (see July 5, 2001). However, the warnings given generally are not passed on by the attendees back to their respective agencies. The domestic agencies were not questioned about how they planned to address the threat and were not told what was expected of them. According to the 9/11 Commission, attendees later “report that they were told not to disseminate the threat information they received at the meeting. They interpreted this direction to mean that although they could brief their superiors, they could not send out advisories to the field.” One National Security Council official has a different recollection of what happened, recalling that attendees were asked to take the information back to their agencies and “do what you can” with it, subject to classification and distribution restrictions. But, for whatever reason, none of the involved agencies post internal warnings based on the meeting, except for Customs which puts out a general warning based entirely on publicly known historical facts. [9/11 Commission, 7/24/2004, pp. 258, 264] The FAA issues general and routine threat advisories that don’t reflect the level of urgency expressed by Clarke and others (see January-August 2001). FAA Administrator Jane Garvey later claims she was unaware of a heightened threat level, but in 2005 it will be revealed that about half of the FAA’s daily briefings during this time period referred to bin Laden or al-Qaeda (see April 1, 2001-September 10, 2001). [New York Times, 4/18/2004] Clarke said rhetorically in the meeting that he wants to know if a sparrow has fallen from a tree. A senior FBI official attended the meeting and promised a redoubling of the FBI’s efforts. However, just five days after Clarke’s meeting, FBI agent Ken Williams sends off his memo speculating that al-Qaeda may be training operatives as pilots in the US (see July 10, 2001), yet the FBI fails to share this information with Clarke or any other agency. [Washington Post, 5/17/2002; Clarke, 2004, pp. 236-37] The FBI will also fail to tell Clarke about the arrest of Zacarias Moussaoui (see August 16, 2001), or what they know about Nawaf Alhazmi and Khalid Almihdhar (see August 23, 2001). Chechen rebel leader Ibn Khattab promises some “very big news” to his fighters and this statement is communicated to the CIA. The CIA then forwards the warning to National Security Adviser Condoleezza Rice together with several similar pieces of intelligence, saying it is evidence that an al-Qaeda attack is imminent (see July 10, 2001). [Tenet, 2007, pp. 151] The FBI is already aware that Ibn Khattab and Osama bin Laden, who have a long relationship (see 1986-March 19, 2002), may be planning a joint attack against US interests (see Before April 13, 2001). One of the operatives, Zacarias Moussaoui, will be arrested a month later (see August 16, 2001), but a search warrant for his belongings will not be granted (see August 16, 2001, August 22, 2001 and August 28, 2001). Djamel Beghal. [Source: Public domain]High-level al-Qaeda operative Djamel Beghal is arrested in Dubai on his way back from Afghanistan. Earlier in the month the CIA sent friendly intelligence agencies a list of al-Qaeda agents they wanted to be immediately apprehended, and Beghal was on the list (see July 3, 2001). 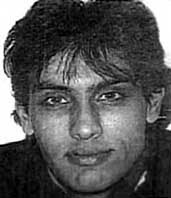 At some time in August 2001, Zacarias Moussaoui calls Naamen Meziche, who is an apparent member of the al-Qaeda cell in Hamburg, Germany, with a few of the future 9/11 hijackers. Moussaoui is in the US and will be arrested and imprisoned on August 16 (see August 16, 2001). Although it is not specified in news reports, presumably Moussaoui makes the call before his arrest, while he still is able to make calls. Meziche’s phone number is written on a piece of paper among Moussaoui’s belongings. FBI officials will not be allowed to search Moussaoui’s possessions until after 9/11. Presumably, if they had been able to, the call and phone number could have helped point investigators to the Hamburg cell and hijackers. Meziche is the son-in-law of Mohammed Fazazi, the radical imam of the Al-Quds mosque in Hamburg, Germany, regularly attended by three of the 9/11 hijackers (see 1993-Late 2001). He is also said to be a friend of hijacker Mohamed Atta. Meziche’s role in the Hamburg cell will only emerge after he is killed in a US drone strike in Pakistan in 2010 (see October 5, 2010). [Wall Street Journal, 10/16/2010] Before 9/11, German investigators are monitoring some members of the Hamburg cell (see for instance November 1, 1998-February 2001). Had that investigation widened to include Meziche, the call from Moussaoui could have been detected and changed the investigation of Moussaoui in the US. Prevost then goes into a supervisors’ meeting and recommends calling the FBI, but becomes even more upset when he is told Moussaoui paid for his training in $100 bills. Two apparent associates of the al-Qaeda cell in Hamburg, Germany, Ismail Bin Murabit (a.k.a. Ismail Ben Mrabete) and Labed Ahmed (a.k.a. Ahmed Taleb), purchase tickets to fly to Pakistan on September 3, 2001. They will be joined on that flight by cell member Said Bahaji (see September 3-5, 2001). All three will disappear into Afghanistan thereafter. It is later discovered that Ahmed had been in e-mail contact with al-Qaeda leader Abu Zubaida. [Chicago Tribune, 2/25/2003] Note that these purchases occur one day before Zacarias Moussaoui’s arrest in Minnesota, suggesting the date for the 9/11 attacks was set before his arrest (see August 16, 2001). Another intelligence agency (possibly the National Security Agency). Zacarias Moussaoui after his arrest. [Source: FBI]After being warned that Zacarias Moussaoui has raised suspicions at flight school (see August 11-15, 2001 and August 13-15, 2001), the FBI learns they can arrest him because he is in the US illegally. Four agents, Harry Samit, John Weess, Dave Rapp (all FBI) and Steve Nordmann (INS), drive to the Residence Inn, where Moussaoui and his associate Hussein al-Attas are staying. At the hotel Samit speaks on the phone to Joe Manarang from FBI headquarters; Manarang appeals for them to take the “cautious route” and not arrest Moussaoui. However, Samit refuses, as he has already notified the hotel clerk of their interest. Moussaoui is arrested around 4:00 p.m. on an immigration violation. At first Moussaoui shows the agents some documents, but then he becomes upset at missing his flight training. The FBI confiscates his belongings, including a computer laptop, but Moussaoui refuses permission for the belongings to be searched. A search of Moussaoui’s person yields a dagger with a two-inch blade, and another knife with a three-inch blade belonging to Moussoaui is found in the car. He also has boxing gloves and shin guards, and the arresting agents note he has prepared “through physical training for violent confrontation.” Al-Attas allows the agents to search his belongings and they believe al-Attas is in the US legally, so he is not arrested. However, al-Attas tells the FBI that Moussaoui is a radical religious Muslim and later makes several statements indicating Moussaoui may be a terrorist (see August 16, 2001). [MSNBC, 12/11/2001; US Congress, 10/17/2002; US District Court for the Eastern District of Virginia, Alexandria Division, 3/9/2006; Minneapolis Star Tribune, 6/4/2006] Al-Attas is arrested the next day (see August 17, 2001). When Were the Exact Date and Targets Chosen? - Future hijacker Hani Hanjour makes surveillance test flights near the Pentagon and World Trade Center around this time, suggesting the targets for the 9/11 attacks have now been confirmed (see July 20, 2001 and Mid-August 2001). [CBS News, 10/9/2002] The FBI will later notice spikes in cell phone use between the hijackers just after the arrest of Zacarias Moussaoui and just before the hijackers begin to buy tickets for the flights they will hijack. [New York Times, 9/10/2002] CIA Director George Tenet will hint that Moussaoui’s arrest a few days earlier (on August 15 (see August 16, 2001)) may be connected to when the date of the attacks is picked. [US Congress, 6/18/2002] On the other hand, some terrorists appear to have made plans to flee Germany in advance of the 9/11 attacks on August 14, one day before Moussaoui’s arrest (see August 14, 2001). Dave Frasca of the FBI’s Radical Fundamentalist Unit (RFU) denies a request from the Minneapolis FBI field office to seek a criminal warrant to search the belongings of Zacarias Moussaoui, who was arrested on August 15 as part of an intelligence investigation (see August 16, 2001 and August 16, 2001). Minneapolis agents believe they had uncovered sufficient evidence that Moussaoui is involved in a criminal conspiracy, and want to obtain a criminal search warrant instead of a warrant under the Foreign Intelligence Surveillance Act (FISA). But because they originally opened an intelligence investigation, they cannot go directly to the local US attorney’s office for the warrant. In order to begin a parallel criminal investigation, they must first obtain permission from the Office of Intelligence Policy and Review (OIPR) so they can pass the information over the “wall.” [US District Court for the Eastern District of Virginia, Alexandria Division, 3/9/2006] Harry Samit, a Minneapolis FBI agent on the Moussaoui case, calls Dave Frasca, the head of the Radical Fundamentalist Unit (RFU) at FBI headquarters, to discuss the request. Samit tells Frasca that they have already completed the paperwork for a criminal investigation, but, according to Samit, Frasca says, “You will not open it, you will not open a criminal case.” Frasca says that argument for probable cause in seeking a criminal warrant is “shaky” and notes that if they fail to obtain a criminal warrant, they will be unable to obtain a warrant under FISA. Samit, who has only been with the FBI since 1999, defers to his superior, and writes on the paperwork, “Not opened per instructions of Dave Frasca.” Samit then tells his Chief Division Counsel, Coleen Rowley, about the conversation, and she also advises him that it would be better to apply for a warrant under FISA. When the Justice Department’s Office of Inspector General (OIG) interviews Frasca after 9/11, he will claim he never spoke to Samit about this matter, and that the conversation was with Chris Briese, one of Samit’s superiors. However, Briese will deny this and the OIG will conclude that the conversation was between Samit and Frasca. [US Department of Justice, 11/2004, pp. 128-132 ; US Department of Justice, 3/1/2006 ] To get a FISA search warrant for Moussaoui’s belongings the FBI must now show there is probable cause to believe Moussaoui is an agent of a foreign power. [US District Court for the Eastern District of Virginia, Alexandria Division, 3/9/2006] A criminal warrant to search Moussaoui’s belongings will be granted only after the 9/11 attacks (see September 11, 2001). Dave Frasca, head of the FBI’s Radical Fundamentalism Unit (RFU), and Michael Rolince, the assistant director in charge of the FBI’s International Terrorism Operations Section (ITOS), have at least two brief conversations about the Zacarias Moussaoui case. 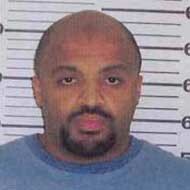 Moussaoui, suspected of having ties to Islamic militants, was arrested in mid-August (see August 16, 2001). Though it is not known what Frasca and Rolince talk about, it is possible their discussions concern complaints from the Minneapolis field office about how RFU is handling the case (see August 27, 2001). 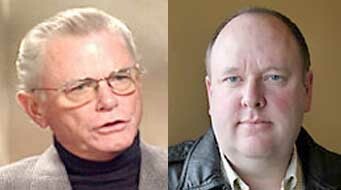 According to the 9/11 Commission, there is no evidence that this discussion ever reaches Assistant Director for Counterterrorism Dale Watson or Acting FBI Director Thomas Pickard. If this is true, the FBI’s handling of the case is remarkably different than the approach taken in the CIA, where Director George Tenet is briefed repeatedly on the matter (see August 23, 2001). [9/11 Commission, 7/24/2004, pp. 275; Associated Press, 3/21/2006] A warning that Osama bin Laden and Chechen rebel leader Ibn Khattab were planning a joint operation against the US was sent to Rolince earlier in the year (see Before April 13, 2001) and the FBI is aware that Moussaoui had recruited for the Chechen rebels (see August 22, 2001). Rolince will be involved in preparations for Moussaoui’s deportation to France shortly before 9/11 (see (August 30-September 10, 2001)). The Foreign Intelligence Surveillance Court (FISC) turns down the Justice Department’s bid for sweeping new powers to monitor and wiretap US citizens. 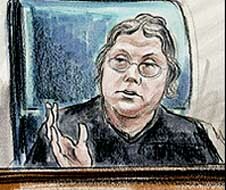 FISC judges rule that the government has misused the law and misled the court dozens of times. The court finds that Justice Department and FBI officials supplied false or misleading information to the court in over 75 applications for search warrants and wiretaps, including one signed by then-FBI director Louis Freeh. While the court does not find that the misrepresentations were deliberate, it does rule that not only were erroneous statements made, but important information was omitted from some FISA applications. The judges found so many inaccuracies and errors in FBI agent Michael Resnick’s affidavits that they bar him from ever appearing before the court again. The court cites “the troubling number of inaccurate FBI affidavits in so many FISA applications,” and says, “In virtually every instance, the government’s misstatements and omissions in FISA applications and violations of the Court’s orders involved information sharing and unauthorized disseminations to criminal investigators and prosecutors.” The court is also unhappy with the Justice Department’s failure to answer for these errors and omissions, writing, “How these misrepresentations occurred remains unexplained to the court.” The court finds that in light of such impropriety, the new procedures proposed by Attorney General John Ashcroft in March would give prosecutors too much control over counterintelligence investigations, and would allow the government to misuse intelligence information for criminal cases. The ruling is a severe blow to Ashcroft’s attempts since the 9/11 attacks to allow investigators working in terrorism and espionage to share more information with criminal investigators. (These limitations were put in place after the Church Commission’s findings of massive fraud and misuse of domestic surveillance programs during the 1950s, 60s, and 70s. See April, 1976, January 29, 1976, and December 21, 1974). The Justice Department says of the decision, “We believe the court’s action unnecessarily narrowed the Patriot Act and limited our ability to fully utilize the authority Congress gave us.” Interestingly, the Justice Department also opposed the public release of FISC’s decision not to grant the requested powers. Stewart Baker, former general counsel of the NSA, calls the opinion “a public rebuke. The message is you need better quality control. The judges want to ensure they have information they can rely on implicitly.” Bush officials have complained since the 9/11 attacks that FISA requirements hamper the ability of law enforcement and intelligence agents to track terrorist suspects, including alleged hijacking conspirator Zacarias Moussaoui (see August 16, 2001). Those requirements mandate that agents must show probable cause that the subject of a search or wiretap is an agent of a foreign government or terrorist group, and, because FISA standards for obtaining warrants is far lower than for ordinary criminal warrants, mandate strict limits on the distribution of information secured from such investigations. The FBI searched Moussaoui’s laptop computer and other belongings without a FISA warrant because some officials did not believe they could adequately show the court that Moussaoui had any connections to a foreign government or terrorist group. In its ruling, FISC suggests that if the Justice Department finds FISA too restrictive, they should ask Congress to update the law. Many senators on the Judiciary Committee say they are willing to enact such reforms, but have complained of resistance from Ashcroft and a lack of cooperation from the Bush administration. [Washington Post, 8/23/2002] In November 2002, the Foreign Intelligence Surveillance Court of Review will overturn the FISC decision and give the Justice Department what it asked for (see November 18, 2002). The first details of the interrogation of alleged 9/11 mastermind Khalid Shaikh Mohammed (KSM) are leaked to the press and appear in the Washington Post. At least some of the information appears to come from a report on KSM’s interrogation drafted four days ago. 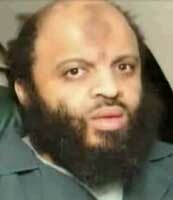 According to the Post article, KSM claims that Zacarias Moussaoui, an al-Qaeda operative arrested in the US in August 2001 (see August 16, 2001), was not part of the 9/11 plot and was scheduled for a follow-up attack. He also says that Moussaoui was helped by Jemaah Islamiyah leader Hambali and Yazid Sufaat, one of Hambali’s associates. KSM reportedly says Sufaat attempted to develop biological weapons for al-Qaeda, but failed because he could not obtain a strain of anthrax that could be dispersed as a weapon. This information appears to be based on a CIA report of KSM’s interrogation drafted on March 24, which discussed KSM’s knowledge of Moussaoui’s stay in Malaysia, where he met both Hambali and Sufaat (see March 24, 2003). The Post notes that if KSM’s claim about Moussaoui were true, this could complicate the prosecution of Moussaoui. For example, it quotes former prosecutor Andrew McBride saying that “on the death penalty, it is quite helpful to Moussaoui.” [Washington Post, 3/28/2003] During the Moussaoui trial, the statement about Moussaoui’s non-involvement in the 9/11 operation will be submitted to the jury as a part of a substitution for testimony by KSM. [US District Court for the Eastern District of Virginia, 7/31/2006 ] Moussaoui will escape the death penalty by one vote (see May 3, 2006). During this month, KSM is in CIA custody and is waterboarded 183 times over five days (see After March 7, 2003 and April 18, 2009). The claim about Moussaoui is not the full truth, as a communications intercept between KSM and his associate Ramzi bin al-Shibh in July 2001 showed that KSM was considering Moussaoui for the 9/11 plot (see July 20, 2001). A courtroom sketch of Leonie Brinkema. [Source: Art Lein / Agence France-Presse]Leonie Brinkema, the federal judge overseeing the prosecution of Zacarias Moussaoui, denies a request to make public an unclassified version of a report on the FBI’s failure to stop the 9/11 attacks. The report, written by the Justice Department’s Inspector General Glenn Fine, was completed in July 2004 (see July 2004) has been held up from publication because of the Moussaoui trial. One portion of the report deals with the FBI’s handling of Moussaoui’s arrest in August 2001 (see August 16, 2001). However, he pleaded guilty earlier in April (see April 22, 2005). Judge Brinkema doesn’t give an explanation for continuing to keep the report classified or hint when it might finally be unclassified. Most of the report has no bearing on Moussaoui. [Washington Post, 4/30/2005] The report will be released two months later with the section on Moussaoui completely removed (see June 9, 2005).